Allergic Reactions – An estimated 10% of Americans are allergic to mold, and suffer from itchy eyes, runny noses, and sneezing after exposure to mold spores. Asthma – Mold has been linked to a 300% increase in asthma cases in the past 20 years. Coughing – Those who don't develop asthma may still suffer irritation of the throat, which can lead to coughing and soreness. Dizziness – As it feeds on indoor materials, mold releases volatile organic compounds (VOCs), which can irritate the central nervous system when inhaled. 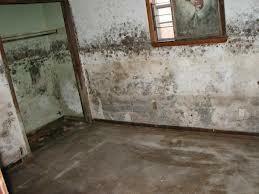 If you suspect mold growth, call RCF Restoration, the experts in mold removal. We will provide a free 10-point mold inspection, then take thorough mold remediation measures to ensure your property is free of mold and your indoor air is safe to breathe.